Statisticians among you will no doubt point out that this may not necessarily be a representative sample and of course there are many different ways in which the following data could be interpreted, but I feel it provides some useful insights nonetheless. It should come as no surprise that almost all of the respondents have published their work in Amazon Kindle format. 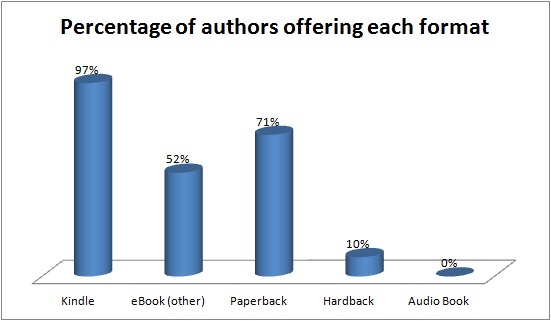 Just over half also offer other eBook formats and a whopping 71% have also published in paperback, although this may have been for earlier books – over half of the respondents published their first books over a year ago and 5 of them over 4 years ago. I then presented a number of marketing channels which are open to authors and asked them to rate the relative effectiveness of each. Now, one thing that’s important to note here is that determining how effective a certain promotion has been is not always straight forward. The 19th / early 20th century american merchant, John Wanamaker, regarded by some as the father of advertising, once famously quipped, “Half the money I spend on advertising is wasted; the trouble is I don’t know which half.” As some of those who took the survey pointed out, the list of options presented was not exhaustive. A few commented that getting other bloggers to mention or review one’s books (what I would categorise as PR, even though it’s not using the established “press”) can be very effective. Anyway, the results, when presented in summary above are kind of all over the place. Clearly there was some agreement on PR and KDP Select as effective channels, but there was quite a spread of responses in each of the others. The following charts show the split for each channel. Drilling down into on-line advertising, I further asked those authors who do advertise to rate the relative effectiveness of the following 3 channels available. 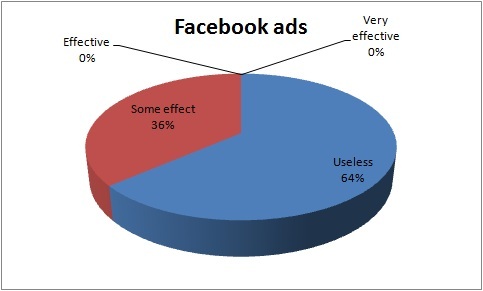 I also asked for any other effective ad placements besides these, but the responses given more accurately fall within what I would call general PR – i.e. participating in various communities, getting reviewed and so on, so I omitted this response from the chart below. 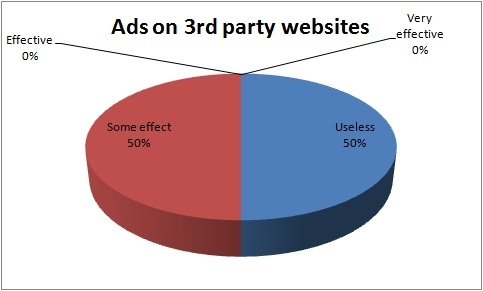 The overall result here is that none of the authors surveyed rated advertising as either “effective” or “very effective”, although some effect has been noticed, particularly on 3rd party websites, which is also my experience. Having spoken to a few very successful authors outside of this survey, I have heard that advertising is most effective when used in conjunction with some promotion such as giving away free books or other gifts with one’s own book. If any of you have any other insights to share, then please feel free to use the comments section below. Stumbled onto this post while looking for ideas on promoting my upcoming ebook. I’ve written a series of ebooks on lighting for portrait photography, and am in the final stages of finishing another ebook guide, this time focusing more on wedding photography. My experience is that 3rd party recommendations (via affiliates on E-junkie.com) provide the bulk of my revenue from ebook sales. This is my network of marketers who promote my ebooks, and usually the sales spikes happen when there’s a discount involved. Thanks Andy, That’s good to know. I’m not familiar with E-junkie.com, but will check it out. I certainly agree that 3rd party recommendations and endorsements can be extremely effective though. Thanks so much for this really informative post. I’ve always resisted self-publishing, but I know the world is changing, and maybe this is the way to go. I appreciate you taking the time to write about your experiences and to add links to all those helpful websites. 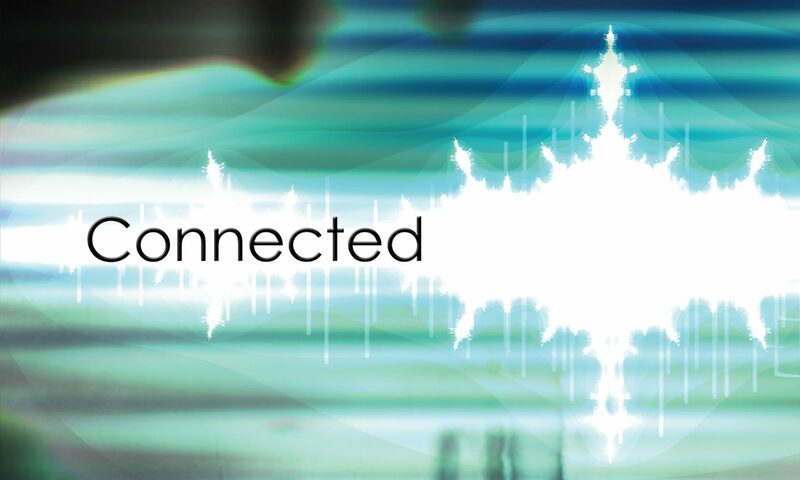 Do you think your experience in both IT and marketing have contributed to your success at all? I’m not taking anything away from your book or writing talent, but I’m just genuinely wondering. I have no idea about marketing, and not much more of an idea about techno-stuff! Also, in your opinion, why do you think agents and publishers would reject books, which then go on to do very well online, as yours clearly has? The books are obviously popular with readers, and are making money (which is what agents and publishers want!). I guess that could be one of the mysteries of the universe, and I know you can’t speak on behalf of agents or publishers, but just wondered what you thought. As to why agents and publishers reject books, it’s kind of like asking why we don’t win the lottery every week. They get 1000s of manuscripts every month – some maybe every week – and so unless your cover letter happens to catch their eye (for whatever reason, who knows), the chances are they won’t even take a look at yours. I don’t know about you, but when I received mine back in the S&E envelope I’d enclosed, it was fairly obvious in most cases that the MS had not been leafed through at all. Hell, most of them don’t even accept email – no wonder the traditional publishing industry is in such turmoil – they’re dinosaurs! If you follow the digital publishing press, there are an increasing number of big name authors now who are rejecting big contracts with trad publishers to sign with Amazon, and I understand why. They sell more and make higher royalties. Thanks for answering my questions, Simon. I like the analogy to winning the lottery! Imagine being in a position where you would turn down a traditional publisher! The times they are a-changing! Thanks for this post, Simon. I’m just about to publish my debut novel and have been thinking about KDP Select. As for Twitter, most of my Twitter friends are authors so, of course, are interested in promoting their own books. I’ve bought a few books this way, but I usually wait until they have a free day. We should all download our Twitter followers books on free days – it’s tough enough out there already for Indie writers and if people have been kind enough to follow then it seems only just to help their Amazon rankings on the free days. 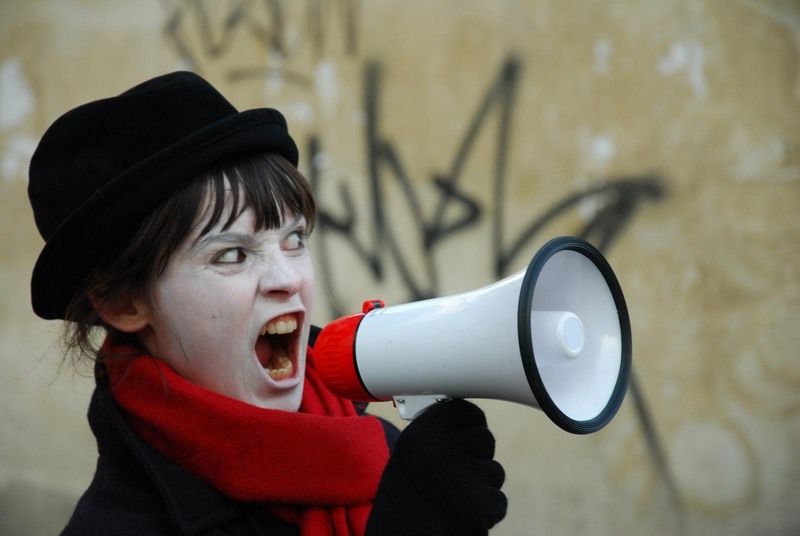 As Indie authors we are up against the publicity machines of the big (soon to get bigger) publishing houses so your pie charts are very helpful in determining which avenues of advertising an Indie needs to use, within a relatively constrained budget. I’ve resisted FB, mainly because of its security problems, but perhaps I will have to reconsider. Having Twitter followers who are fellow indie-authors is great for the sharing of experience and the support you get when promoting your free days etc., but in addition to them, you could try following the followers of well-known authors who publish in a similar genre to your own. In my case, since my book is based on quite a lot of real science (because I’m a bit of geek that way) I also follow the followers of scientists who are prominent in the specific areas on which my book touches. Once you’ve identified some of these influential people, you might also try subtle interaction with them, for example by posting thoughtful reviews of their books and other work. If you do this and then tweet it – e.g. “I just gave a 5* Amazon review of bookname by @famousAuthor link to review ” then 9 times out of 10, they will reply and thank you. In some cases if you’re lucky, they will even follow you, which means that when you follow their followers, the latter will see that you are followed by their hero author and check out your profile! It’s hard to know just how effective such tactics are, but I’ve had at least 10 such people tell me that they have just bought my book and so, assuming that only a fraction of those who buy, would actually bother to tell me, I imagine the true number is somewhat higher. Thanks for collecting all of this, Simon. I am just now trying to figure out the effectiveness of all these channels. 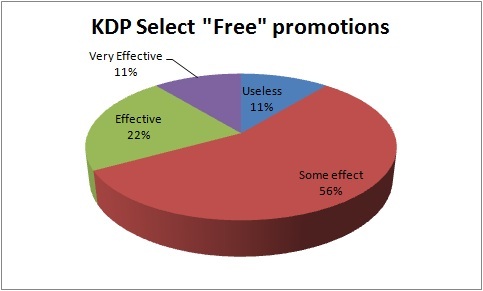 My own KDP giveaway resulted in just 200 downloads, which was driven by Facebook promotion. Since then, not one book has sold in print or ebook. (Two weeks later.) Oddly, I get lots of encouragement from people who say they love they book, I have been able to sell it to merchants in stores (door to door) as well as at book festivals, but it simply has not “hit”. I’m trying small billboards in targeted regional areas, and also using the Goodreads giveaway, which has generated many hundreds of applicants, adds to read-to lists, and the like, but again, no sales. I sold more of my previous books without the KDP free day, though again the numbers are low. 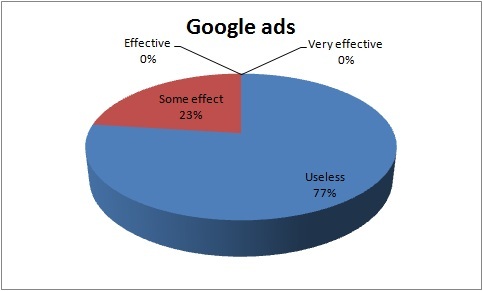 Your research suggests that pretty much all of the ad techniques are more useless than effective. It would suggest that success here is almost as random as the ability to get noticed by an agent or publisher. BTW, congrats on the new additions to your family! Sorry you’ve not had more success with your book. Have you tried submitting its Free promo dates to the various websites that list freebies. I found the following list in a LinkedIn forum and when I followed the advice last month, I got 13,500 downloads in 3 days. This Sunday, I will run another for just 2 days, so we’ll see if it works again. I also reach out to my email, Facebook and Twitter network quite extensively, but I’m not sure how many downloads come from this. Anyway, try the links below and drop me a mail with a link to your book so I can take a look. Thanks, I will certainly look at doing this on my next promo. Perhaps I’ll try it first on one of my previous books as a test run. I can see there is much to learn on this subject, and you’ve just done a great deal of the learning for me. I’m very grateful. Interesting post! I wish you’d had a larger group to survey than your self-selected bunch of 33 or so, because despite the effort you put into analyzing the data, I’m afraid the sample is too small and not representative. The sales figures they provide are higher than I would have expected for self-published books, and much higher than those sited in The Taleist’s large survey of self-published writers. 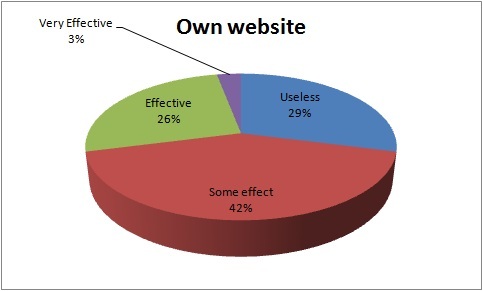 That survey found that the majority make under $500 in sales of their work. Maybe the sales figures your respondents gave included give-aways? Not quite the same thing as sales. 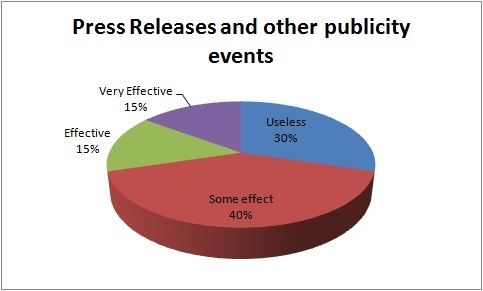 I also wonder how your respondents knew which means of promotion worked. It’s hard to know why people buy books; their doing so in proximity to some promotion or review doesn’t mean that was the cause. I recently had the opportunity to talk for an hour with the online marketing director of one of the top 6 publishers. 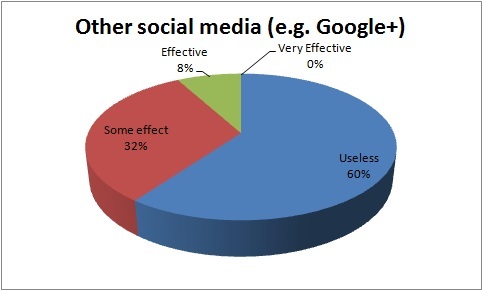 He recommends to authors that they do as much social networking as possible—FB pages, blogs, website and twitter in particular were mentioned. But when I asked if these tools actually worked, he laughed ruefully and said, “It’s hard to quantify the effect.” Publishing orthodoxy at the moment is that they are essential tools, and logically it makes sense that getting one’s name “out there” can only help. But it’s no wonder self-publishers are confused, when even the pros can’t say for sure what works. Thanks for chipping away at this interesting question. Thanks for the comment. Yes, as I tried to disclaim in the post itself, the survey was not much more than a wet finger held up to the gusty chaotic winds of book promotion, but I found the results interesting nonetheless. I’m not sure whether all other authors were counting free downloads or not, but it was my intention to only include actual sales and I know a couple of the big-seller responses were authentic because I know who they are and they make a good living at it. I don’t believe the majority of traditional publishers have any clue how to promote eBooks and most indies aren’t much better. I also haven’t ruled out advertising although to date I haven’t managed to get a decent return on my investment there. Initially I thought I saw a correlation between clicks and sales, but when I tested for it more scientifically, the effect vanished. I do know that presenting my book’s Amazon page to readers, results in a certain fraction buying it and it’s not a bad conversion rate. The problem is that given the £1.99 cover price and the CPC bid prices for FB and Google, the maths doesn’t work. However, one thing I recently discovered was that if you create an ad with a high enough CTR, then the CPC may drop, since the advertising channel (eg. 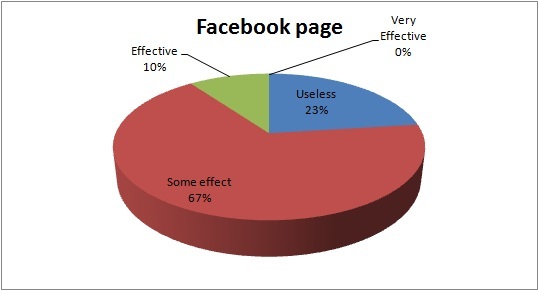 FB) can make more money through the increased volume. I enjoyed reading this very informative post. It seems to me from reading this that using paid Ads is extremely risky unless you have a very good grasp of your market and the online environment. 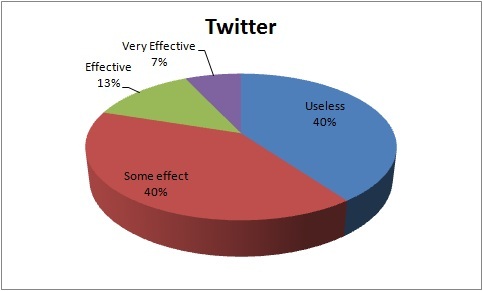 It would be interesting to see the ratio of self promoting tweets to book sales on twitter. My feed is inundated with them 24hrs a day yet this not one of the tweets that make up this unremitting deluge has ever persuaded me to buy a book and more alarmingly I have never to the best of my knowledge sold a book using this method. Pingback: Secrets of Self-publishing and eBook promotion based on my experience. Next PostNext Is self-publishing redefining the rules of book genre?